British Malaya between 1909 and 1946. 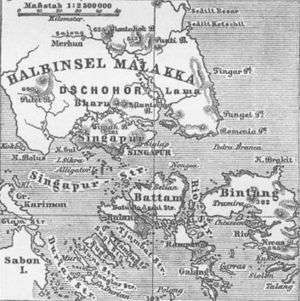 The term British Malaya loosely describes a set of states on the Malay Peninsula and the island of Singapore that were brought under British control between the 18th and the 20th centuries. 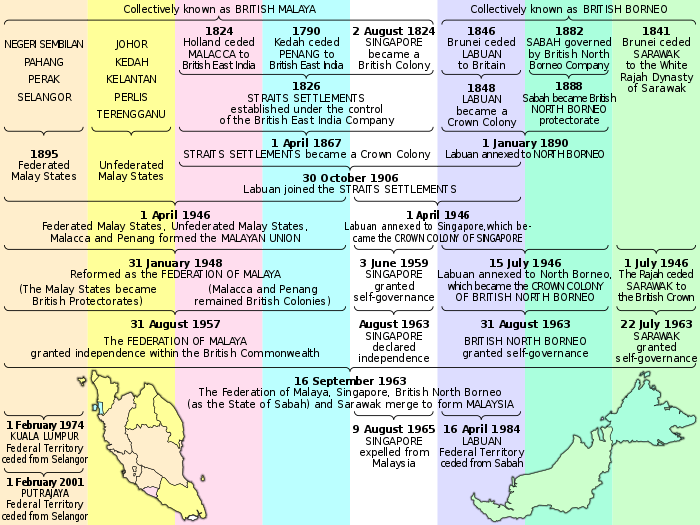 Unlike the term "British India", which excludes the Indian princely states, British Malaya is often used to refer to the Malay States under indirect British rule as well as the Straits Settlements that were under the sovereignty of the British Crown. Before the formation of Malayan Union in 1946, the territories were not placed under a single unified administration. Instead, British Malaya comprised the Straits Settlements, the Federated Malay States, and the Unfederated Malay States. Under British rule, Malaya was one of the most profitable territories of the Empire, being the world's largest producer of tin and later rubber. The Malayan Union was dissolved and replaced by the Federation of Malaya in 1948, which became fully independent on 31 August 1957. On 16 September 1963, the federation, along with North Borneo (Sabah), Sarawak, and Singapore, formed into a larger federation of Malaysia. The Sultan faced multiple external threats during this period. Siam, which was at war with Burma and which saw Kedah as its vassal state, frequently demanded that Kedah send reinforcements. Kedah, in many cases, was a reluctant ally to Siam. Singapore was then under the control of Tengku Abdul Rahman, the Sultan of the Johore-Riau-Lingga Sultanate (otherwise known as the Johor Sultanate), in turn under the influence of the Dutch and the Bugis. The Sultan would never agree to a British base in Singapore. However, Tengku Abdul Rahman had become a sultan only because his older brother, Tengku Hussein or Tengku Long, had been away getting married in Penang when their father, the previous sultan, died in 1812. In Malay cultural traditions, a person must be by the side of the dying sultan to be considered as a new ruler. Tengku Abdul Rahman was present when the old sultan died. The older brother was not happy with the development while the temenggung who was in charge of Singapore preferred Tengku Hussein to the younger brother. The Company however was dissolved in 1858, and British India came under the direct rule of the Crown: in effect, the British government. With Calcutta's waning power, and after intense lobbying by the Settlements' administrators, in 1867 the colony was placed directly under the power of the Colonial Office in London and was declared a crown colony. The declaration gave it considerable independence and power within the British Empire. Raja Abdullah was furious and refused to accept the news kindly. He then sought and gathered political supports from various channels, including several of Perak's local chiefs and several British personnel with whom he had done business in the past, with the secret societies becoming their proxies in the fight for the throne. Among those British individuals was British trader W. H. M. Read. Furthermore, he promised to accept a British advisor if the British recognised him as the legitimate ruler of Perak. Selangor just to the south of Perak also had considerable deposits of tin around Hulu Selangor on the north, Hulu Klang in the central area and Lukut near Negeri Sembilan to the south. Around 1840, under the leadership of Raja Jumaat from Riau, tin mining became a huge enterprise. His effort soon was rewarded by Sultan Muhammad of Selangor; Raja Jumaat was appointed as Lukut's administrator in 1846. By the 1850s the area emerged as one of the most modern settlements on the Malay Peninsula apart from the Straits Settlements. At one point, there were no less than 20,000 labourers, most of them ethnic Chinese imported from China. He died in 1864 and his death created a leadership vacuum. Slowly, Lukut slid backward and was forgotten. 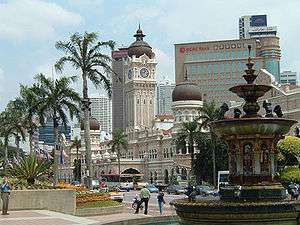 Kuala Lumpur was the capital city in Malaya. 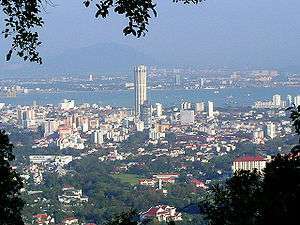 It is still the capital of present-day Malaysia. As in Perak, this rapid development attracted great interest from the British in the Straits Settlements. The economy of Selangor became important enough to the prosperity of the Straits Settlements that any disturbance in that state would hurt the Straits Settlement itself. Therefore, the British felt they needed to have a say in Selangor politics. One major disturbance, amounting to a civil war, was the Klang War which began in 1867. Sungai Ujong, a state within the confederation in particular was the site of many locally important mines. It was ruled by Dato' Kelana Sendeng. However, another local chieftain named Dato' Bandar Kulop Tunggal had more influence than Dato' Kelana. Dato' Bandar received great support from the locals and even from the Chinese immigrants who worked at the mines of Sungai Ujong. Dato' Kelana's limited popularity made him dependent on another chieftain named Sayid Abdul Rahman, who was the confederation's Laksamana Raja Laut (roughly royal sea admiral). The strained relationship between Dato' Bandar and Dato' Kelana caused frequent disturbances in Sungai Ujong. The Unfederated Malay States, on the other hand, maintained their quasi-independence, had more autonomy, and instead of having a Resident they were required only to accept a British Advisor, though in reality they were still bound by treaty to accept the advice. The British undertook far less economic exploitation as they primarily wished to just keep these states in line. Perlis, Kedah, Kelantan and Terengganu were surrendered by Siam after the Anglo-Siamese Treaty of 1909. Independent Johor, meanwhile, had to surrender Singapore to the British earlier on. Despite the Sultan's political effort, he was forced to accept an advisor in 1914, becoming the last Malay state to lose its sovereignty (British involvement in Johor actually began as early as 1885). After World War I the British adopted a decentralisation policy in Malaya. This was done to entice the Unfederated Malay States to join the Federated Malay States. Malaya and Singapore were under Japanese occupation from 1942 until 1945. Japan rewarded Siam for its co-operation during this period by giving it the state of Perlis, Kedah, Kelantan and Terengganu. After Japan's surrender at the end of the Second World War following the dropping of the atomic bombs on Nagasaki and Hiroshima by the United States, Malaya and Singapore were placed under British Military Administration. Within a year after World War II, the loose administration of British Malaya was finally consolidated with the formation of the Malayan Union on 1 April 1946. Singapore however was not included and was considered a crown colony by itself. The new Union was greeted with strong opposition from the local Malays. The opposition revolved around two issues: loose citizenship requirements and reduction in the Malay rulers' power. 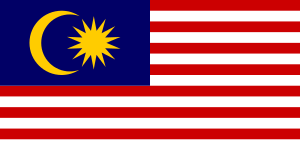 Due to the pressure exerted, the Union was replaced with the Federation of Malaya on 31 January 1948. The Federation achieved independence on 31 August 1957. All Malayan states later formed a larger federation called Malaysia on 16 September 1963 together with Singapore, Sarawak and North Borneo.